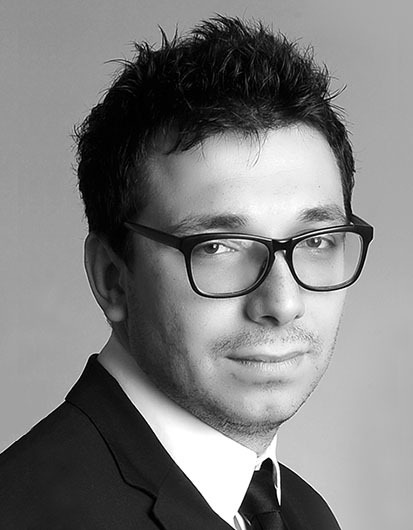 Žiga Stamenkovič was educated at the University of Maribor and focused studies on the University of Bayreuth (Competition and company law) with final degree in February 2008 in the field of competition law; started working for the attorney Andrej KAC in 2008 as trainee. Finished in 2009 both state exams for administrative procedure and public administration, later in 2010, at the age of 26, passed the state bar exam and committed to the national Chamber of Attorneys. Since the 1st of January 2011 continued the professional path in the law office Odvetniška družba KAC & ODVETNIKI o.p. d.o.o., which has been restructured to a “partner” law firm, where partner status was received in 2014. In November 2015 the registration as a bankruptcy trustee is planned to be fullfilled. Žiga Stamenkovič joined CBA as Legal Expert in August 2015. Occasionally invited to give lectures to students of various Faculties, regarding current area of work.